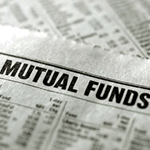 Planning to Buy Mutual Funds? There are two broad categories for buying mutual funds: offline and online. From a distributor or advisor. Brokers such as ICICI, HDFC, Reliance Money, etc…(this would require a demat account). Once you decide which funds to buy and via which route the next step is to manage your investments. That is where MProfit can really help you, since we can aggregate all your mutual fund transactions into a single screen. How do we do it? No matter where you buy your mutual funds from the record keeper of those investments will most likely be CAMS or Karvy (they are called registrars). We provide an import facility for both CAMS (click for info) and Karvy (click for info). If you setup a SIP for your mutual fund then that data will get updated when you import your data on a weekly or monthly basis. Once the data is in MProfit you can track your mutual fund performance since we provide auto price updates. Then you can add your other assets such as gold, property, ULIPs, etc…and have a complete view of all your investments. Lastly, you will be able to print reports and take investments decisions since you have a complete view of all your assets.